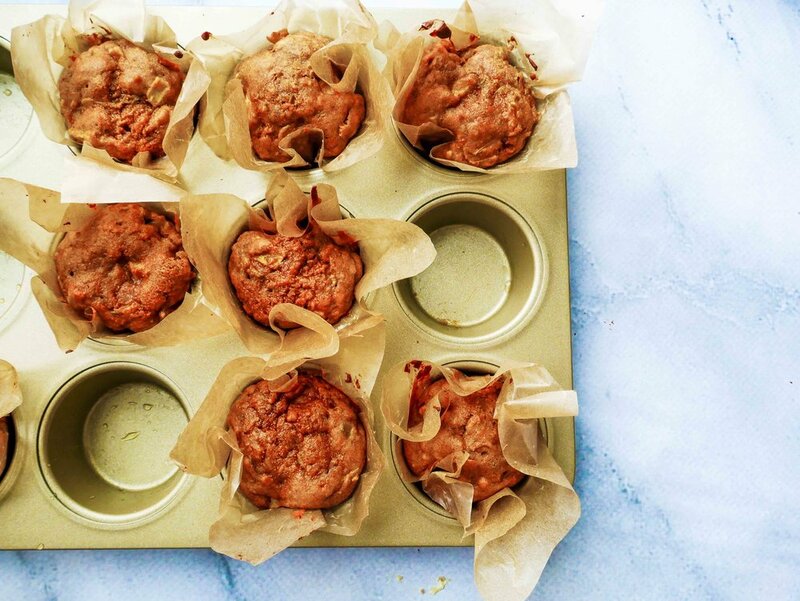 These Apple & Cinnamon Muffins make the perfect addition to any breakfast, snack or as a healthy treat to pack in the kids lunchbox. They are sweetened with apple, cinnamon and maple syrup. Apples are rich in fibre that is needed to support a healthy digestive system. They contain pectin which is a type of prebiotic that feeds the good bacteria in our gut. Apples also contain vitamin A and C which boost immunity. For more apple recipe inspiration take a look at the 5+ A Day website here. Preheat the oven to 180 degrees fan bake. Grease a muffin tray or line each hole with a square of baking paper. In a large mixing bowl, combine the flour, baking powder, cinnamon, baking soda and salt. Add the grated apple and cubed apple, combine all the ingredients. In a separate bowl, combine the olive oil, maple syrup and eggs. Beat together and then add in the yogurt. Pour the wet ingredients into the dry mixture and mix. Divide the batter evenly between the 12 muffin cups. Sprinkle the muffins with coconut sugar. Bake the muffins for 15-20 minutes, or until the muffins are golden on top and a toothpick inserted comes out clean. 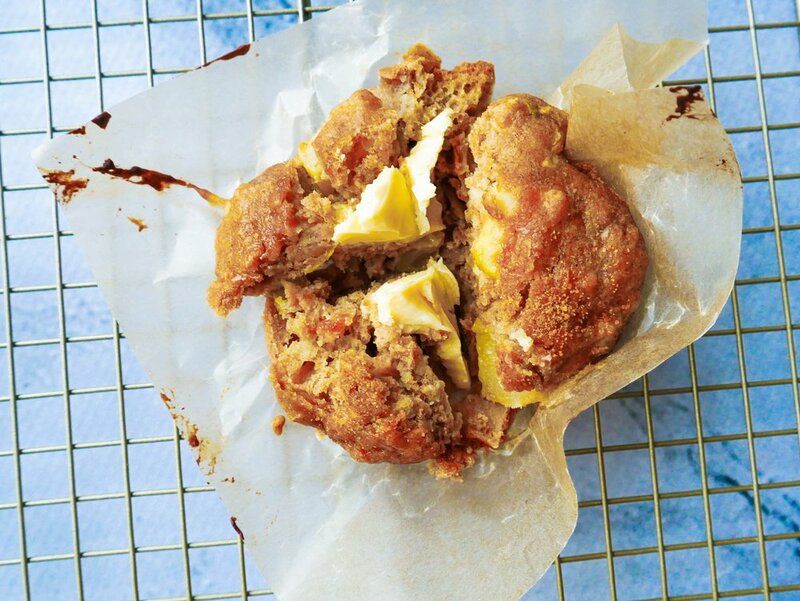 Place the muffins on a cooling rack. Store in an airtight container in the pantry.